HubSpot yesterday launched a “completely re-envisioned and rebuilt” version of its marketing system at its Inbound 2012 user conference. The main thrust of the new release was dynamic customization of emails, landing pages, and forms based on each contact’s profile and behaviors. This is a major expansion beyond HubSpot’s original focus on “inbound marketing” to attract leads. - a new contact database that is much more flexible than the original HubSpot database, allowing access to all types of email and landing page interactions within HubSpot and to social media activities imported to the system. The new database is built with HBase, which accesses Hadoop files. More on that later. - “smart lists”, which are rule-based definitions of contact groups whose membership is updated automatically as contact data changes. Apologies if that’s a bit jargony; it just means the lists are always current. - “smart calls to action” which are dynamic content blocks driven by the smart lists. That is, users define which contents go to members of different lists. The blocks are stored in a library and the same block can appear within multiple emails, HubSpot landing pages, or external Web pages. In practical terms, this means things like: users who have already downloaded one piece of content can automatically be offered something else. - “smart forms” (do you sense a pattern?) which don't repeat questions a client has already answered. This isn’t quite true progressive profiling, which would replace questions that are answered with ones that are not. But it removes a major annoyance. - workflows (hah! Bet you expected “smart flows”) that are triggered by smart list-style rules and can include multiple steps with multiple actions assigned to each step. Available actions include changing contact data, sending a record to CRM, updating a lead score, setting a lifecycle stage, and changing the call to action. - social media tracking that captures responses to system-generated social media messages within the contact database. The responses are associated with specific individuals, so they can be used in smart lists and workflow rules. This is all good stuff, although far from revolutionary. 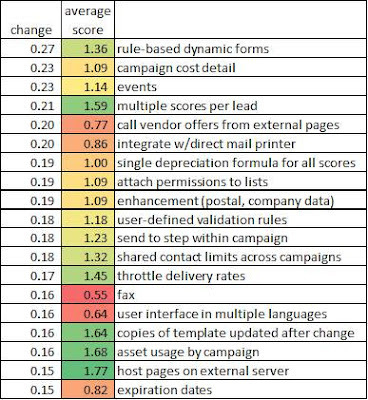 Dynamic email content, for example, is available in 14 of the 22 systems in our VEST report. 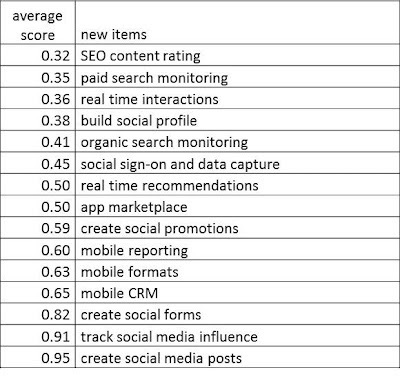 HubSpot recognizes that these are not new features but argues they’ve made them easier to use than competitors. I’m not so sure – the rule builder underlying the smart lists and workflows looks pretty much like every other rule builder, and the workflows themselves are also similar to the sequential flows in other systems. This isn’t a criticism of HubSpot, but just a recognition that these are inherently complicated features which plenty of smart people have already tried to simplify. Radically better approaches may yet be found – I had an interesting chat about some possibilities with HubSpot co-founder Dharmesh Shah – but so far, the state of the art is what it is. The new release also includes improved email and landing page designers, A/B testing for landing pages (not available in the entry-level version of the system, alas), enhancements to the app and service marketplaces, and expanded training services. The company said the coming year will bring enhancements to existing components including the blogging and search engine optimization applications. What’s really important about all these changes is not whether they’re unique, but how well HubSpot has pulled them together and how it teaches its clients and resellers to use them. This is where HubSpot has always been strongest, and the vision it set out this week – of highly relevant marketing messages for each individual – is indeed advanced. (It’s also one I agree with – see this post on why the marketing funnel is dead.) If HubSpot can get marketers to focus on that sort of targeting, which is quite different from traditional campaign-oriented promotions, they can indeed have a revolutionary impact on their clients and the marketing industry. And what about HBase? Although HubSpot didn’t talk about it in its marketing materials, switching from a conventional relational database to the Hadoop-based system is almost certainly the most radical feature of the new release. So far as I know, HubSpot is the only marketing automation system using HBase. I discussed this a bit with HubSpot Chief Product Officer David Cancel, who joined the company when it acquired Performable, which was itself built on HBase. Cancel said HBase takes more resources than a conventional database engine but provides direct access to all details of each contact’s behavior history. One immediate benefit is that HubSpot now allows custom fields – up to 1,000, in fact – which it didn’t previously. Ad hoc reports against the HBase data isn't available yet but is due before the end of 2012. Longer term, I suspect HBase will make it easier to add custom objects and to deal with unstructured and semi-structured data such as Web logs and text comments. This could make HubSpot fundamentally more flexible than most B2B marketing automation systems, whose data structures are tightly linked to CRM data structures. As I mentioned last week, the main exceptions to that rule today are the high-end marketing automation products, which were built for consumer marketing applications and assume a custom data structure. Having that flexibility in product for small-to-mid-size businesses could open up some possibilities that truly do make HubSpot unique. Today I’ll present the third and (mercifully?) final installment in my series of posts on leaders in the different B2B marketing automation sectors, as determined by the ratings in our VEST report. I’ve saved the best for last, in the sense that the small to mid-size sector is the heart of the industry and its most complicated arena. We define small to mid-size business as companies with $5 million to $500 million revenue. This covers a broad range of marketing users with widely varied needs. Most require the full set of marketing automation functions but apply these in simple ways. They have one to fifteen marketing automation users. This sector generates nearly 60% of 2012 revenue ($200 million) from 33% of the installations (9,400 as of mid-2012). The VEST report provides separate client counts for small business ($5 million to $20 million revenue) and mid-size business ($20 million to $500 million). These account for 16% and 41% of revenue and 16% and 17% of installations, respectively. Although small businesses generally buy lower-priced systems, they have largely the same requirements as mid-size companies. The leaders quadrant in this sector is quite crowded, with Act-On, Eloqua, Pardot, and Marketo all jostling for position. Silverpop, Neolane, and Genius are all lurking nearby. In case you haven’t caught on to my color coding, blue type indicates that Eloqua and Neolane are leaders in the large company segment, while red type shows the others have their strongest position in this sector. The variety of users within this segment is reflected by the differences among the leaders. Act-On, Pardot, and Genius specialize in smaller companies than Marketo or Silverpop, which in turn serve generally smaller clients than Eloqua or Neolane. Act-On’s position on top of the product fit range is a bit misleading: when you look at the components of that score (see below; this comparison chart is another VEST feature), the vendors are all very close. In fact, the only category where Act-On scores higher than everyone else is pricing. This isn’t at all to say that the products are equivalent. Rather, it means they each have different strengths and weaknesses that balance each other out when measured with generic scoring weights. For actual buyers with clear priorities, the difference among these vendors’ scores will almost always be much larger. As with the other sector charts, the vendors in the upper left are also worth considering: they have strong product fit but relatively low market position. SalesFusion appears here as it did in the micro- and large-business charts: what can I say, they have rich features at a good price. (And, no, they’re not my client.) 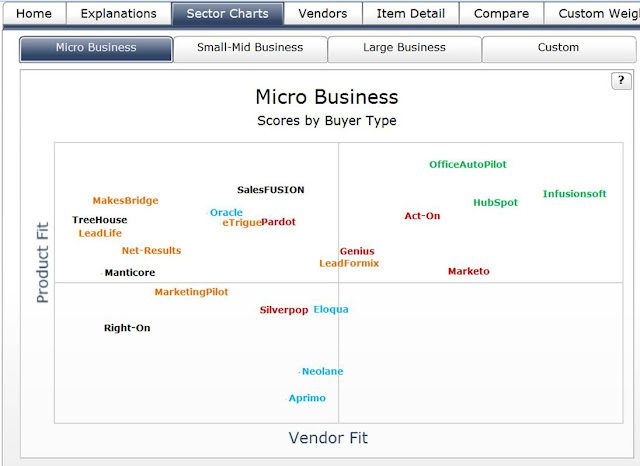 eTrigue is the other noteworthy contender; it and LeadFormix are both close to the leader quadrant based on their vendor fit. If there’s any one lesson from all these charts, it’s that picking the “leading” vendor is no guarantee of making a good choice. Our three sets of weights yield different sets of leaders, and even those vendors have different strengths and weaknesses. I’ve said it a million times but I’ll say it again: there’s no substitute for understanding your own needs and finding out which vendors match them best. Tuesday’s post looked at the micro-business sector leaders according to our VEST report and gave a bit of background on how the ratings are created. Today let's take a look at the same diagram for large businesses, which we define as companies with $500 million revenue or more. These companies have large marketing departments that may manage hundreds of campaigns for different products in different locations. Our scoring reflects their need for special features for automated content selection, project management, complex lead scores, and tight control over the rights granted to individual users. This group had about 1,400 clients in mid-2012, generating an estimated $85 million in revenue. This is 5% of industry installations and 25% of industry revenue. Many of these were small departmental implementations; there are probably fewer than 500 true enterprise-wide deployments. The non-specialist vendors such as IBM Unica and SAS, are not included in these figures but also have significant revenue in this segment. As before, vendors closer to the top have the most appropriate features for this segment, and those further to the right have the most similar customer base and company resources. The chart shows Neolane and Aprimo (owned by Teradata) as the clear leaders, with Eloqua also very strong. Marketo and Oracle (specifically, Oracle CRM On Demand Marketing) are considerably further back in the leader quadrant. It’s important to recognize that Neolane and Aprimo are fundamentally different from the others. Both are general purpose marketing automation systems that serve large numbers of B2C as well as B2B clients. The clearest technical distinction is the marketing database: Neolane and Aprimo are designed to connect with custom-built, external marketing databases, whereas B2B marketing automation products like Eloqua, Marketo, and Oracle are based on an integrated database using a CRM data model (usually Salesforce.com, although Oracle is tied to Oracle's own CRM). This doesn’t mean that every client actually connects them to CRM system. But it does mean that the standard data models match the CRM data models and, in many cases, that abilities to expand the data model with custom tables are limited. One reason that Neolane and Aprimo rank so high in this sector is, precisely, that large businesses often want more database flexibility than the CRM-based approach allows. As with Tuesday’s chart, the other important place to look on the chart is the upper left, which captures companies that have suitable features for this segment but are too small to rate as leaders. SalesFusion (which also ranked highly in the micro business segment; a good trick) and TreeHouse Interactive stand out in that region. So does MarketingPilot, a newcomer to the VEST that is more like Neolane and Aprimo in serving a mix of B2C and B2C clients. See my 2011 MarketingPilot review for more details, bearing in mind that they’ve added capabilities since then. One of the most important features of our VEST report on B2B marketing automation systems is that it divides marketing automation users into distinct segments, each having a different set of needs. This matters because the systems all do roughly the same things, making it hard for inexperienced buyers to tell them apart. Many vendors – especially those who target the middle sector – also try to serve all types of companies, adding to the confusion. Where the vendors differ is in the details of how they implement the common features, applying approaches that are generally best suited to one type of marketing organization. The VEST segmentation is based on company size, as measured by revenue. I'm painfully aware that this isn’t the ideal way to group users, since companies of the same size can still vary greatly in their needs and marketing sophistication. But revenue is objectively measureable and most marketing automation vendors can provide reasonably accurate client counts by revenue group. So we use it as a proxy for the other client differences. The primary way we report on the different segments is by applying different weights to the same feature in our vendor scoring for each segment. 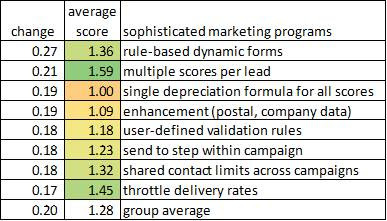 This lets us rank vendors based on how their features and company strengths match against each sector’s needs. A key part of the approach is to penalize vendors with negative weights for features that are too advanced for a particular customer group. So far as I know, no other analysts do this in their scoring. It avoids a common problem with scoring systems, that systems with the most features always win. The chart above shows our ratings for the micro business sector, defined as companies with under $5 million in revenue. These are very small companies, typically run personally by an owner. They rarely have a full-time professional marketer on staff. Primary marketing interests are group emails, landing pages, and simple lead nurturing through email auto-responders. Before marketing automation, they typically use an email system (which also provides landing pages and simple nurture campaigns) or sales automation product for their marketing. They often do not integrate marketing automation with a separate sales automation system, either because they don’t use one at all or because they rely on CRM features within marketing automation itself. As of July 2012, marketing automation vendors reported more than 17,000 micro-business installations, just over 60% of the industry total. But, because prices are lower than other segments, the segment generates only an estimated 18% of industry revenue, or $65 million for full-year 2012. Companies in this sector have very limited marketing and technical resources. As a result, their overriding needs are ease of use and a broad range of features within a single product. What they don’t need are very complex campaigns, extensive planning and budgeting, and custom database designs. Our scoring reflects those priorities. 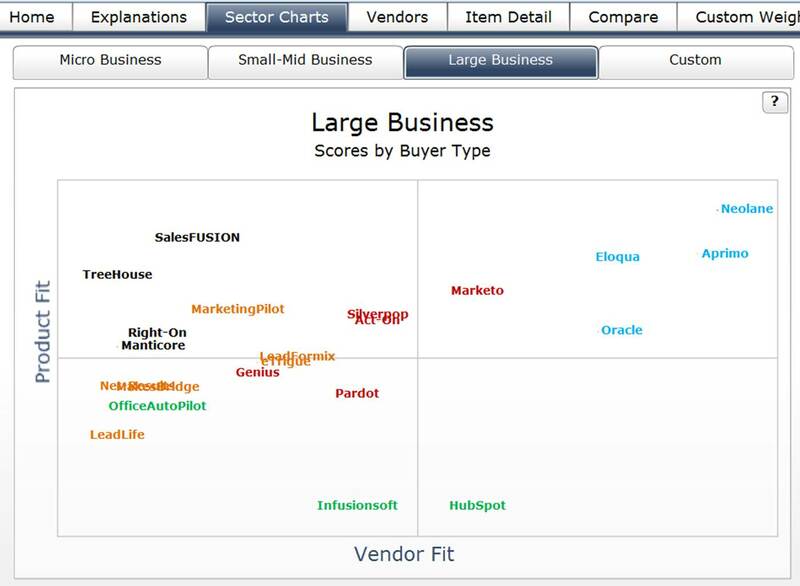 As the chart shows, the leaders in this segment are OfficeAutoPilot, Infusionsoft, and HubSpot. The first two are micro-business specialists; in particular, they have built-in CRM and order processing. HubSpot isn’t quite as highly tailored to this segment, which is why it is a little further from the top than the other two. (The vertical dimension is product fit, which basically means features.) 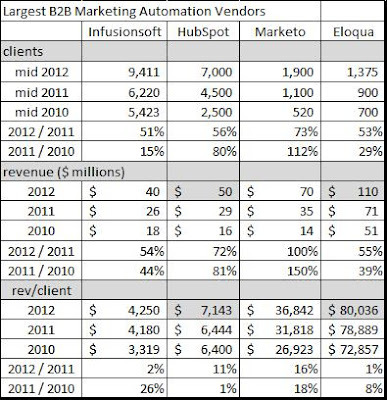 But HubSpot has a very large number of clients in this segment, so it is still quite far to the right. (The horizontal dimension is vendor fit, a combination of customer count, segment concentration, and vendor resources.) Act-On and Marketo also have strong positions in this sector, even though their features – especially in Marketo’s case – are not necessarily the best fit. Again, bear in mind that revenue is a very crude segmentation, so many Act-On and Marketo clients in this group probably have requirements closer to those I’ve assigned to the middle tier. The other important set of vendors are those at the upper left of the chart: companies with a strong feature fit even though they are smaller than the leaders. 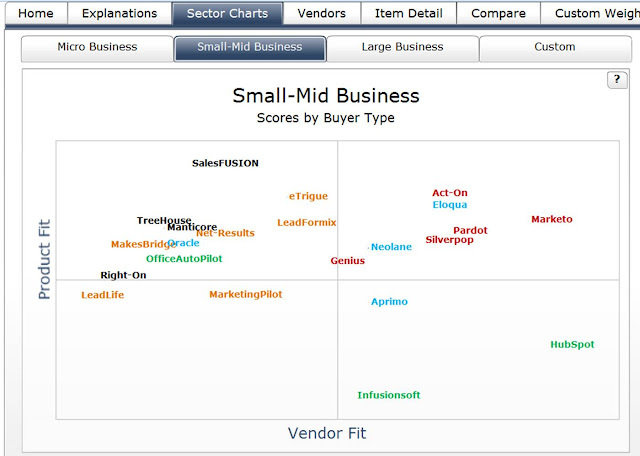 SalesFUSION and MakesBridge stand out especially in this group for micro-business users. Oracle’s presence is, frankly, pretty odd: it’s due to a low per seat price and the vendor’s position that it has a built-in CRM module. In fact, nine of the 22 vendors say they provide a CRM option, which may be technically correct but in most cases probably isn’t realistic. This is even more proof – as if it were needed – that buyers need to explore the products in detail before making a purchase. One of my favorite parts about putting out a new edition of the VEST report is I get to dive into a pile of new data about industry trends. 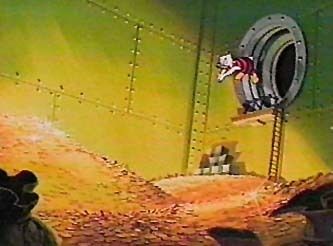 Think Scrooge McDuck and his pool filled with gold coins. The table below shows the top 20 items based on this ranking. Colors in the “average score” column show the relative score of each item – closer to green means an item is more common; closer to red means it is more rare. The ranking is based on all 200 items, so the broad range among this group shows that all types of features are being added, not just the rare ones. At first glance, these items seem almost random. But on closer examination, they fall into three categories. • Sophisticated marketing programs. These are features for advanced outbound campaigns. This means they appeal to the most sophisticated marketers and are probably not very widely used. As hinted by the color coding and confirmed by group, these features are already relatively common. So their continued growth represents catch-up by vendors who had not already provided them, probably more for competitive sales reasons than actual customer needs. • New channels. These are features for marketing outside of email. They include managing events such as trade shows, integrating with external Web sites, and support for fax and direct mail. 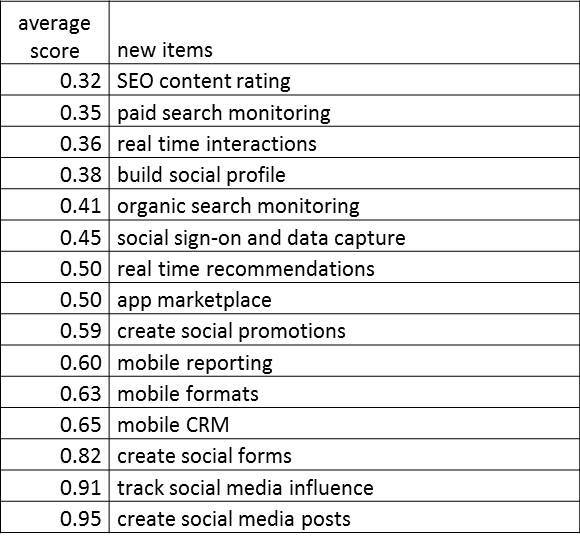 As a group, these are more rare than the previous set (average score of 1.02 vs. 1.28), suggesting that vendors who add them are more leaders than followers. They illustrate the continued expansion of marketing automation to support true multi-channel marketing programs. • Advanced marketing management. These are features to help manage large-scale marketing operations. They relate to administrative and reporting needs including fine-grained control over user access rights, detailed cost reporting, user interface in multiple languages, and control over large volumes of assets. Most of these features are still relatively rare, although the group average is raised by two relatively common items (templates that automatically copy changes into existing assets and reports on asset usage by campaign). As with the changes to support sophisticated marketing programs, these features are needed by a small fraction of marketers, but vendors are probably adding them because they appear on buyer checklists. You may have noticed that social media is missing from these lists. Don’t be alarmed – it's just that most social media features were not covered in the previous edition, so we can't calculate growth rates. Here’s a list of all the new items and their scores. As you see, they’re all still relatively rare. I'm pretty sure that social media features are being added quickly although I don't have the data to prove it. What didn’t grow so much? Well, there’s little change in basic marketing capabilities but that's just because pretty much everyone already has them. Less predictably, there’s little change in reporting, CRM integration, database design, features targeted at ease of use, content creation, and pricing models. If there’s a pattern here, it’s that these are fundamental aspects of system design and business models. In other words, vendors are making incremental enhancements rather than radical changes. You can read this as a sign of maturity or stagnation. Maybe they're the same thing. Either way, it's arguably a good thing for marketers that the pace of change has slowed down a bit, since it gives them time to catch up. It's more dangerous for vendors, since a stable feature set is easier for outsiders to duplicate, and gorilla invasion is the biggest threat faced by existing marketing automation leaders. As my previous post reported, small vendors can still grow quickly enough to approach the industry's top ranks. But it's entry by large outsiders who can leverage an existing customer base, such as users of email, CRM, or Web content management systems, that could really change the industry structure overnight. Stay tuned. I’ve been so busy analyzing the new VEST data that I missed the announcement that Eloqua’s would make its initial stock offering today. The valuation was a bit disappointing – $368 million, or just over four times revenue trailing 12-month revenue – but certainly a good return on its backers’ investment of about $41 million. And the stock did rise 12% on the first day. Good for them, and congratulations. Coincidentally, I was already planning to write today about industry financials. I’ve been creeping in that direction with the previous two posts about revenues, growth rates, and market share. Now let’s plunge in with some more substantial analysis. For companies like Eloqua and its competitors, there are really two big financial questions: how fast can they grow, and how can they become profitable? In a young industry like B2B marketing automation, the primary focus is growth, and I published some figures on that yesterday (repeated below). As we saw, Eloqua’s client count is growing considerably slower* than all major competitors except Infusionsoft. This may be one reason the stock market gave it a relatively conservative valuation. Revenue figures tell a similar story, as does revenue per client. We looked at those in Tuesday’s post; I’ll repeat the caveat that figures for Eloqua and HubSpot are my own estimates based largely on client growth and (for HubSpot) changes in client mix. The standout performer in all these tables is Marketo, but bear in mind that they’ve also taken much more investment than any of the others ($107.5 million) and the $70 million in 2012 revenue hasn’t happened yet. Still, this suggests that Marketo might be able to fetch a higher price than Eloqua. What about profitability? I’ll repeat that the financial markets care much less about profits than growth for early stage companies. Still, profits will have to matter eventually. So they're worth a look. Eloqua is the only company in this group with published financial statements, so any profitability analysis has to be speculative. One useful measure is employee counts, which are a reasonable proxy for expenses and operating efficiency. The table below presents clients, employees, and clients-per-employee ratios. The first thing you’ll notice is the broad range in clients-per-employee ratios: from 40:1 for Infusionsoft to less than 4:1 for Eloqua. The main reason is the size of each company’s clients – Infusionsoft serves small businesses that take much less effort per client than the mid-size and large companies who buy Eloqua. 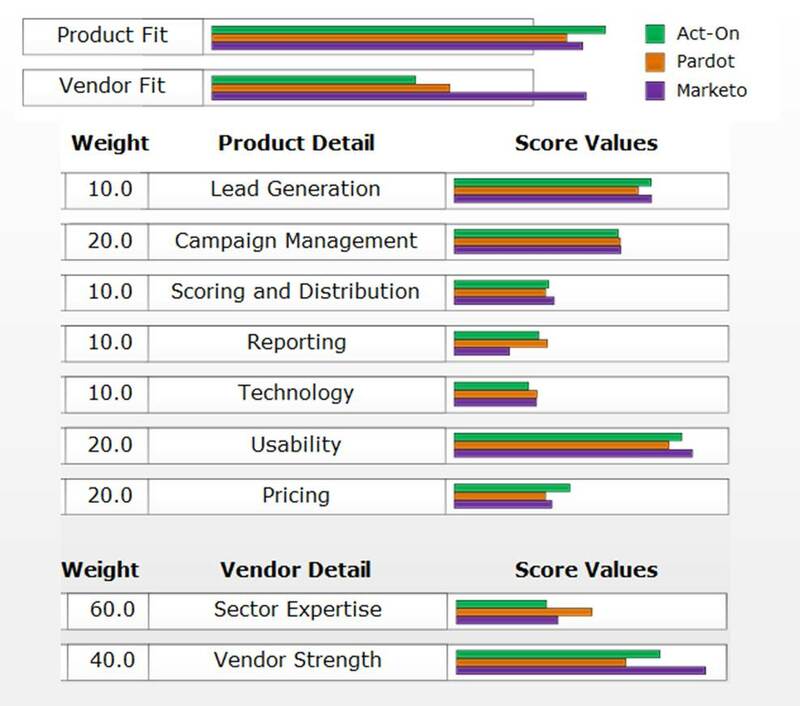 Still, Marketo, Pardot, SalesFusion and Net-Results all serve primarily mid-size companies, so they are somewhat comparable. 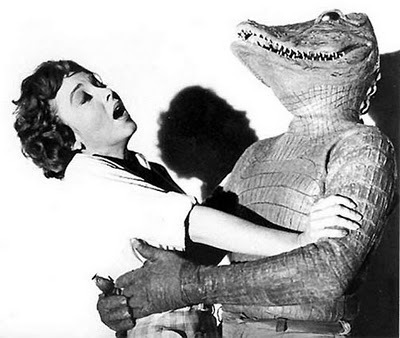 (Act-On tends a bit smaller.) 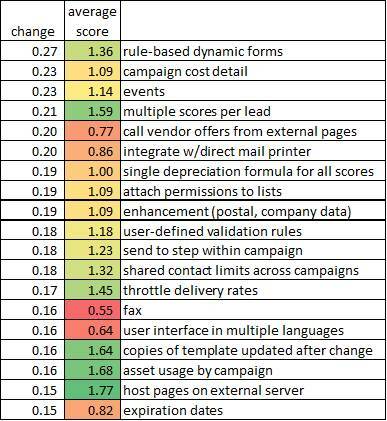 Given that assumption, the figures suggest that Pardot, Net-Results and SalesFusion are more efficient than the others. That’s probably true, perhaps because they are all self-funded. Net-Results also markets primarily through resellers, which also lowers its costs. Act-On’s ratio is notably low, probably reflecting aggressive staffing as it prepares for rapid growth. The second thing you’ll notice is the year-on-year trend. Infusionsoft, HubSpot, Act-On, and Net-Results all show a drop in the clients-per-employee ratio since last year, meaning they have become less efficient. We can probably attribute that to gearing up for growth. By contrast, Eloqua, Pardot and SalesFusion have become substantially more efficient. Eloqua’s gain is particularly impressive since it has the largest client base and relatively low growth – suggesting the company has been working hard to keep costs down in preparation for its public offering. It looks like Marketo has become just slightly more efficient, but we'll revise that opinion in a moment. Since we do have revenue figures for the top four vendors, we can also look at their revenue per employee. This is a standard efficiency metric and more directly comparable across companies. Here's that data, along with revenue per client. These figures put the client-per-employee ratios in deeper perspective. They confirm that Eloqua has improved efficiency, and by far the highest revenue per employee in the industry. The figures may be be overstated (see footnote) but even more conservative values would leave Eloqua in first place. 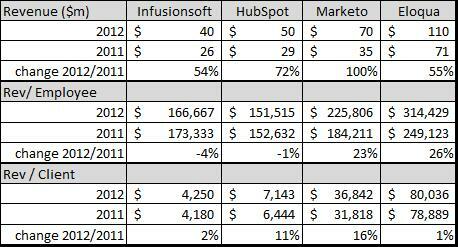 The figures also confirm that Infusionsoft’s cost structure is pretty much stable. The news is better for HubSpot, whose apparent productivity decrease (measured in clients-per-employee) vanishes when you measure revenue per employee instead. The difference is the growth in revenue per client (which, I’ll remind you again, is only my personal estimate). The story is even more dramatic for Marketo, whose 6% improvement in clients per employee becomes a 23% gain in revenue per employee, boosted by a 16% increase in revenue per client. Impressive, but let's hold the applause until we see the actual results. Whew, that’s a lot of numbers. Maybe only industry insiders will find them as interesting as I do. But other marketers should also find them helpful as they try to understand each vendor's business situation and determine how well it matches the marketer's own needs. * And that's using Eloqua-provided figures of 900 clients as of mid-2011 and 1,375 for mid-2012, which yield a 53% year-on-year growth rate. The revised S-1 published in mid-July showed 42% year-on-year revenue growth. A 42% growth rate would yield 2012 revenue of $101 million vs. my estimate of $110 million, and a 7% drop in revenue per customer to $73,455. Ouch! On the plus side, even the adjusted $288,571 revenue per employee is higher than anyone else, and a 16% improvement over 2011. I’ve gotten used to thinking of the B2B marketing automation industry as entering a consolidation phase, during which a handful of dominant vendors emerge and small vendors drop away. That’s why I was a bit surprised when yesterday’s blog post showed that the “big four” industry vendors (Infusionsoft, HubSpot, Marketo, and Eloqua) are actually growing slower than the “next four” largest (Pardot, Act-On Software, Net-Results, and SalesFusion)*. In other words, the industry is becoming less concentrated, at least for the moment. In fact, this trend extends back for the past two years, which is as far as my VEST data goes. It likely extends still further, and, on reflection, this makes sense: at the start of a new industry, there are just one or two pioneering firms with no competition and, thus, 100% market share. This share can only drop over time as new entrants emerge. It's only in the later stages of consolidation – after crossing Geoffrey Moore’s chasm – that the dominant vendors really take control. 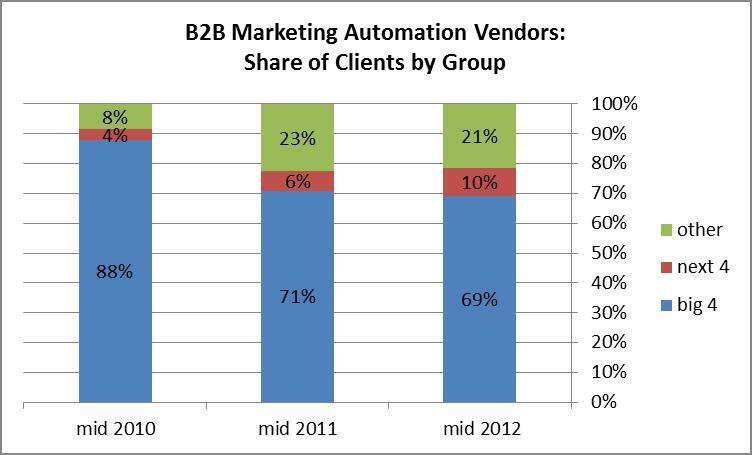 For B2B marketing automation, we’re not there yet. The table below shows all this in glorious detail: the big four vendors grew more slowly on a percentage basis than the next four, even though the big four added more clients in absolute terms. The figures for "other" are a bit misleading because the 2011 and 2012 figures include a few more companies than the 2010 data. But they're directionally correct. Share of clients somewhat overstates the dominance of the big four because Infusionsoft and Hubspot serve such huge numbers of small companies. Revenue would be a better measure but I don’t have reliable figures for the smaller vendors. I do have employee counts, at least for the top eight companies. They make the next four look more important: while the next four have just 12% of the clients, they have 18% of the employees. This is up from 14% of employees a year ago, so the fundamental story is still the same: the next four are growing faster. What all this means in concrete terms is that a new vendor can still challenge the current market leaders. Both Pardot and Act-On are doing exactly that. Their success isn’t guaranteed and it’s not clear how much longer the window of opportunity will remain open. But, for now at least, the game isn’t over. * Actually, Genius should place in this group, since it has 900 clients. But that information reached me the day after this post was written. They're also growing much more slowly than the vendors listed here -- up from 700 clients a year prior (29% growth, vs. the 139% growth of the current "next four"). So I think the point about smaller vendors being able to grow quickly is better supported by keeping the existing data in place. I’ve just released the latest edition of my B2B Marketing Automation Vendor Selection Tool (VEST), which contains detailed analysis of all 22 B2B marketing automation systems. Serious marketing of the new edition is yet to begin, but anyone considering purchase of a marketing automation system can buy the VEST now at the www.raabguide.com Web site. The new report contains a rich trove of industry information. The one item that people usually find most interesting is the size of the industry. I put this at $325 million for 2011, a 50% increase from 2010. With 2012 half finished, I can now make a reasonably solid estimate for this year. I find the growth rate has actually accelerated to 60%, for a total of about $525 million. I come at these figures in two ways. Installations by industry sector. Vendors in the VEST are asked for estimates of their client counts by company size. We distinguish four segments: micro-business with under $5 million revenue; small business with $5 to $20 million revenue, mid-size business with $20 to $500 million revenue, and large business with over $500 million revenue. Most vendors do provide the sector breakdown, although some are pretty rough estimates. For a couple of vendors, I’ve used my own estimate based on past data. The total comes to $362 million estimated 2012 revenue. I estimate the non-B2B specialists and other marketing automation vendors (IBM, SAS, SAP, etc.) who are not listed in the VEST will have another $165 million in B2B revenue, for a total of $527 million. Revenue estimates for individual vendors. The second approach starts with the four largest B2B specialists: Infusionsoft, HubSpot, Marketo, and Eloqua. Each has announced revenue for 2011 (formally or in press interviews) and two, Infusionsoft* and Marketo**, have made forecasts for 2012. I estimated 2012 revenues for HubSpot and Eloqua based on their client counts and revenue per client. I then estimated revenue for the other specialist vendors by combining results from two methods: estimated revenue per employee and estimated revenue per client. Finally, I’ve added figures for the non-specialist vendors, using the same assumptions as before. The table below shows the results. As you see – and I swear I didn’t cook these numbers – this gives $525 million, almost exactly matching the other method. Of course, there's more to these figures than just the industry size. One interesting point is that the “other specialist” vendors are actually growing faster than the big four vendors. This is a bit of a surprise, since we’d expect the industry to consolidate and squeeze out the smaller players. Still, remember that the big four control 75% of the revenue. The difference is client growth actually larger than the revenue estimates suggest. The table below shows that the client base of the “other specialists” grew by 80%, which is faster than any of the big four. One caveat is that a number of the smaller vendors didn’t provide updated client counts, and they may be vendors who were not growing much. But the reality is that the next three largest vendors (Pardot, Act-On, and Net-Results) did provide data, and each grew by well over 100%. So the missing vendors don't have enough volume to affect the big picture. I’ll share one final set of data that also points to industry strength. The table below shows revenue per client for the big four vendors over the past two years. These are actuals except for the 2012 figures for HubSpot and Eloqua, and I consider those to be educated, conservative guesses. This table shows a consistent increase in revenue per customer across all vendors and all years. Given the intense competition within the industry, that’s pretty impressive: it shows that the big four vendors are managing to increase their revenue per client, which all must do to become profitable. I suspect the increase is less the result of firmer pricing than of broader product lines that let the vendors sell more to each customer. Nor does this mean that industry prices are rising: it’s possible – in fact, likely – that the smaller vendors are selling for less than their larger competitors, and that the average price in the industry is still dropping. All told, this paints the picture of a healthy industry: still growing rapidly, still open to competition, and supporting sustainable prices. It's a cheery bit of news.